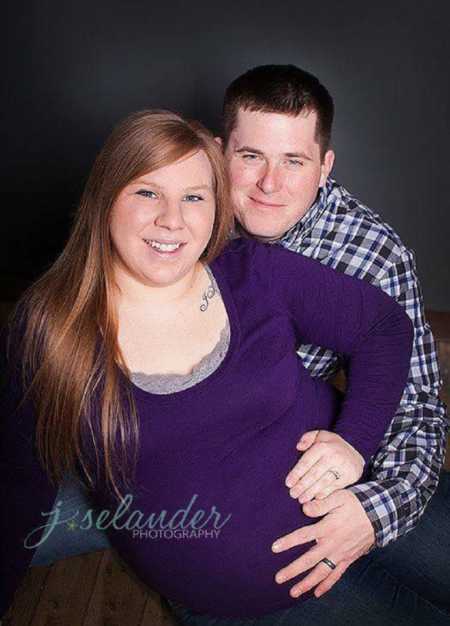 “My husband and I found out we were expecting our second child in the summer of 2013. We were initially nervous about splitting our love, attention and resources between our son Jonathan and this new baby. But we were also excited and beyond ready to add to our little family. I wanted a girl so badly, I convinced myself it was probably going to be a boy. I had most likely ‘jinxed’ myself by giving away all of Jonathan’s baby items before I was even pregnant again, declaring ‘my next baby will be a girl anyways.’ I will never forget laying on the table in my OBGYN’s office, looking over at the ultrasound screen and hearing the words, ‘I’m thinking it’s a girl!’ No way! How did I get so lucky? My heart raced with excitement. I was absolutely beaming as we announced our baby’s gender and told Jonathan about the baby sister he would soon meet. Oh the plans I had. The bows, the dresses, the PINK, the dance and cheer classes. As we prepared her nursery, the walls looked as if we had experienced an explosion of Pepto Bismol. I dreamt of my baby girl often and wondered what she would be like. Our beautiful daughter Regan was born at 11:26 a.m. on March 14, 2014. She had a head full of dark hair and the same bright blue eyes as her brother. 7 pounds 10 ounces of pure perfection. Her Apgar scores were 9 and 10. I thought back to when my son was born, his nurse told me they rarely give 10’s. My husband and I had done it again. Our baby was perfect and healthy. 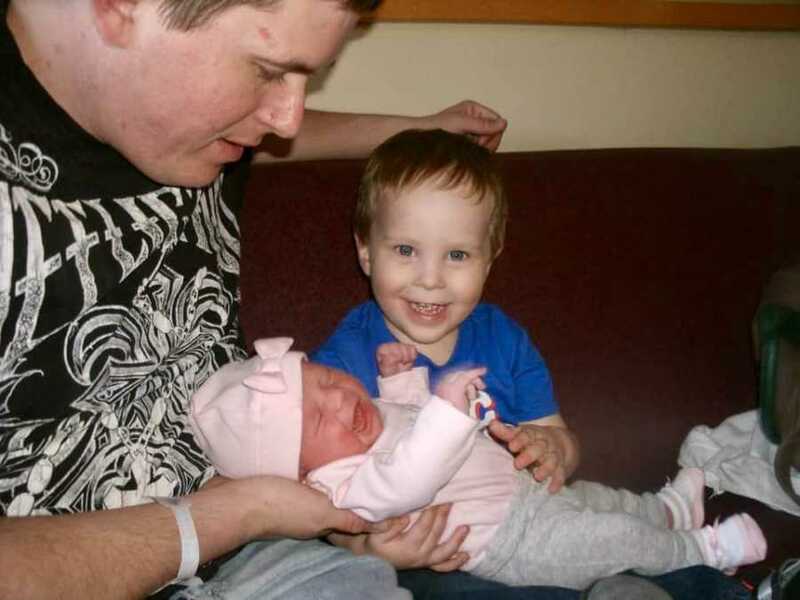 I looked forward to watching Regan grow, and one day run and play with her big brother. Adjusting to life with a newborn and a toddler was challenging to say the least, but I was absolutely basking in the love our family shared. I learned that when it comes to having more kids, love is not divided, but on the contrary, is multiplied. As Regan grew, I began to notice when she would reach out and play with toys, she only used her right arm and hand to do so. I mentioned to my parents one day that ‘she’s definitely right-handed.’ I began to watch these arm movements more closely. As I did so, I discovered that not only did she only use her right arm to reach out, but she kept her left arm close to her body, and her left hand was tightly clenched into a little fist the majority of the time. At Regan’s 4 month checkup I brought this discovery up to her pediatrician. We decided to give her an x-ray to rule out the possibility of a broken clavicle. To my relief, her x-ray showed no broken clavicle or any abnormalities. Her pediatrician suggested she may have simply not discovered her left arm yet. We’ll see if by her 6 month checkup she starts using her other hand more. For some odd reason, my parents were much more worried about this than I was. They did extensive Google research, while I was avoiding Google. One day, not too long after Regan’s 4 month checkup, my mom mentioned they had read some ‘scary stuff’ about what could be causing this lack of arm involvement. After pressing her to tell me the scariest possibility, she said, ‘maybe she had a stroke.’ I immediately wrote this fear off, saying, ‘well, that’s definitely not it! Wouldn’t her face be droopy on one side?’ I did not put much thought into the possibility of a stroke. However, as the next two months passed, her left hand involvement was not improving. She still only used her right arm to reach and play with her toys. I became more concerned as her next checkup approached. At her 6 month checkup her pediatrician casually asked about her milestones, she came to the question, ‘does she switch toys back and forth between both hands?’ When I answered, ‘no, she is still not using her left hand at all,’ her pediatrician became obviously concerned. Oh no, this really isn’t normal. We were done waiting for her to ‘discover’ her arm, we had to investigate this further. Her pediatrician gave us a referral to see a pediatric neurologist. After receiving this referral, I decided to delve into Google. Adding the word ‘neurologist’ into my searches about a baby not using their left arm, immediately brought up ‘perinatal strokes.’ Perinatal refers to the last 18 weeks of gestation through the first 30 days after birth. I spent hours reading about unborn/newborn babies experiencing a stroke. I was seeing words such as; cerebral palsy, hemiplegia, physical therapy, occupational therapy, developmental delays, orthotics, seizure disorders, all in correlation with perinatal strokes. I learned that strokes in children, babies and even unborn babies are actually relatively common. Strokes are one of the top ten causes of death in children. If I ever thought of strokes, they were what happened to adults and the elderly, certainly not babies. I was shocked and wondered how I never heard of this before? A common symptom is early hand preference. 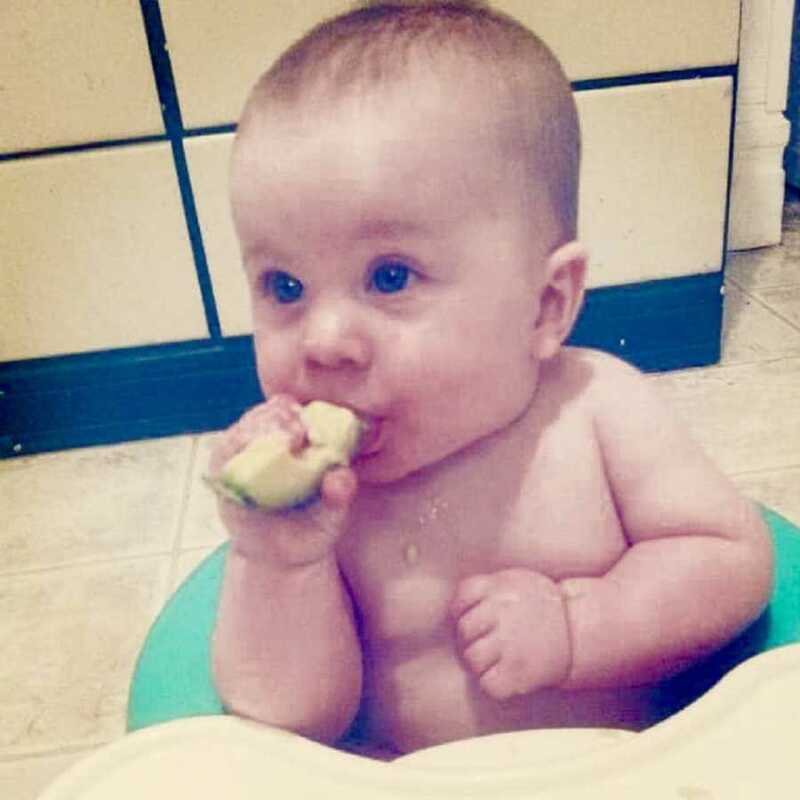 ‘Babies should not have an obvious hand preference before the age of 18 months.’ The more I read, the more I knew this is what happened to Regan. Although I did not have the diagnosis yet, deep down I knew what her diagnosis would be. I knew my baby girl had, at some point in her short life, experienced a stroke. This was both shocking and devastating. I feared for what her future would look like. I grieved for the future I had envisioned for her. I was discovering that something was ‘wrong’ with my perfect, healthy baby girl and this was not easy to process. I began to feel sorry for Regan and for myself. It wasn’t supposed to be like this. This was not in my plans, at all. 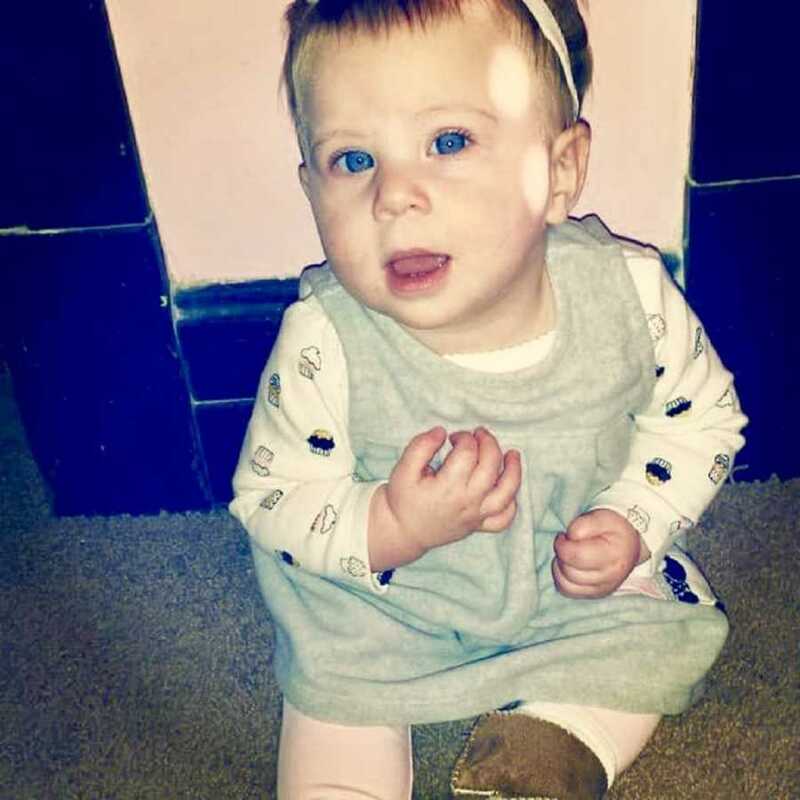 The nerves leading up to her first neurology appointment made me sick to my stomach. I felt I already knew exactly what her neurologist would say, but it didn’t make it any easier or less confusing. 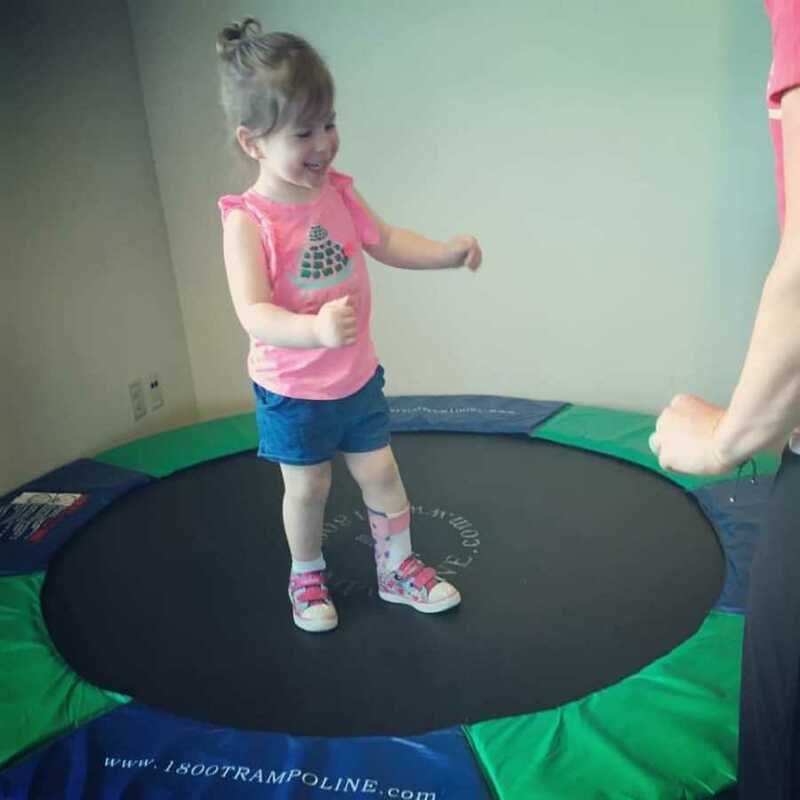 As her neurologist met with my husband and me, we discussed Regan’s symptoms and why our pediatrician had referred us to him. After examining Regan, he told us she most likely suffered a stroke in utero (during my pregnancy). We would schedule an MRI to locate the damage to her brain caused by the stroke. Our precious, little 7 month old baby girl would have to be sedated for the MRI. This was terrifying. We had never experienced anything this scary with our oldest, we had no idea what to expect. I had so many questions. What would this mean for her future? Her neurologist could not give us any clear-cut answers until he read her MRI. Even though this appointment had gone exactly as I had expected, it was absolutely devastating having my suspicions confirmed. 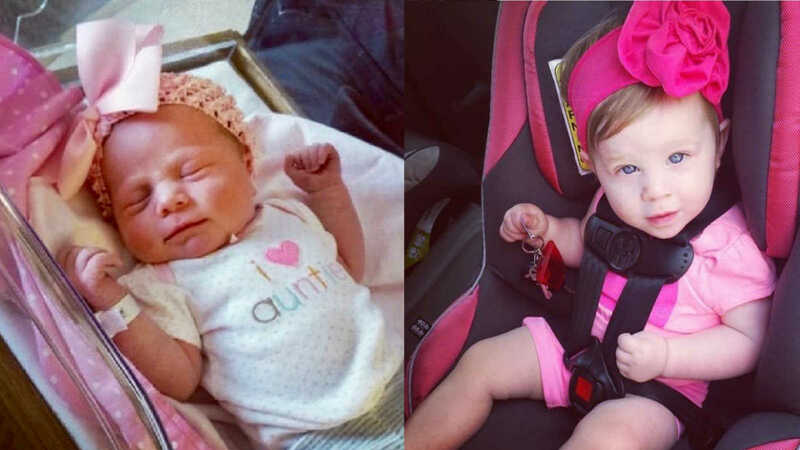 The weeks between that appointment, to her MRI, to the next appointment where we would learn the results, were the longest 4 weeks of my life, filled with anxiety and endless questions. 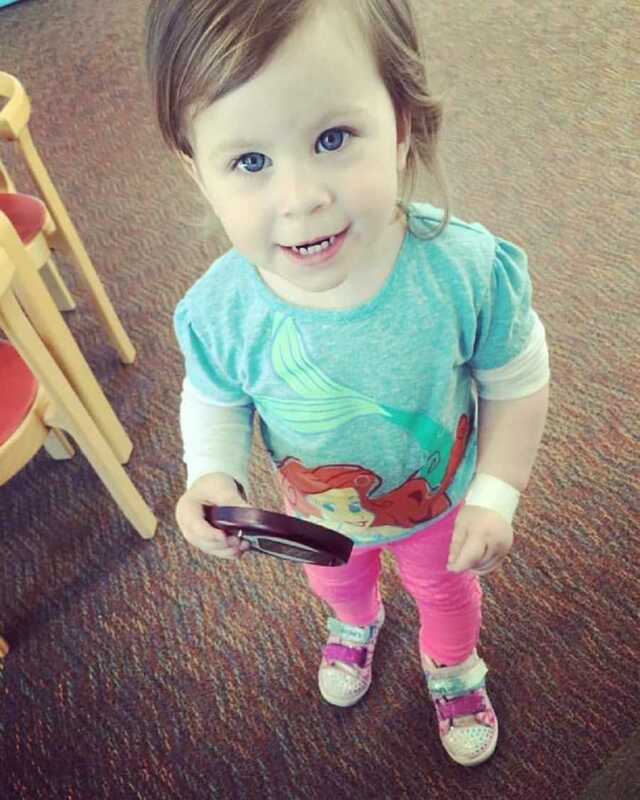 Finally, the day had come – October 30, 2014, we were about to learn the results of Regan’s MRI. My heart raced as we walked into the neurologist’s office. We sat and listened as her neurologist explained Regan’s MRI showed she suffered a hemorrhagic stroke at some point during her brain’s development. In the center of her brain a main vessel did not develop correctly, causing that vessel to burst when blood started flowing to that area. This likely occurred sometime during the second trimester, but we’ll never be able to pinpoint exactly when. 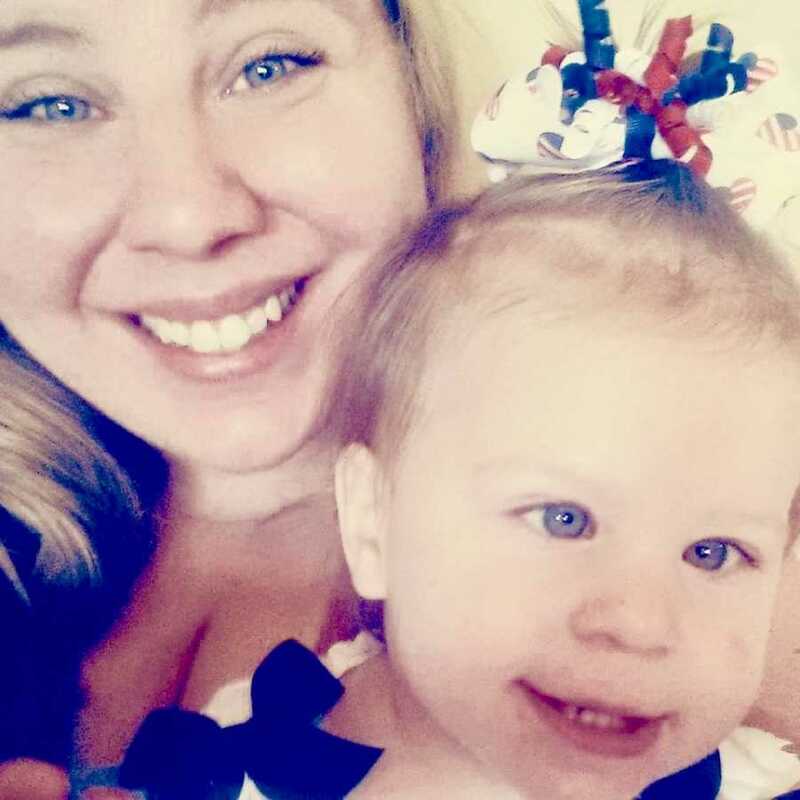 We also have no idea why it happened, the neurologist called it a ‘fluke.’ The space this vessel should have taken up in her brain was now an empty space, and surrounding tissue was pushing into that space, causing her symptoms of left-sided weakness. 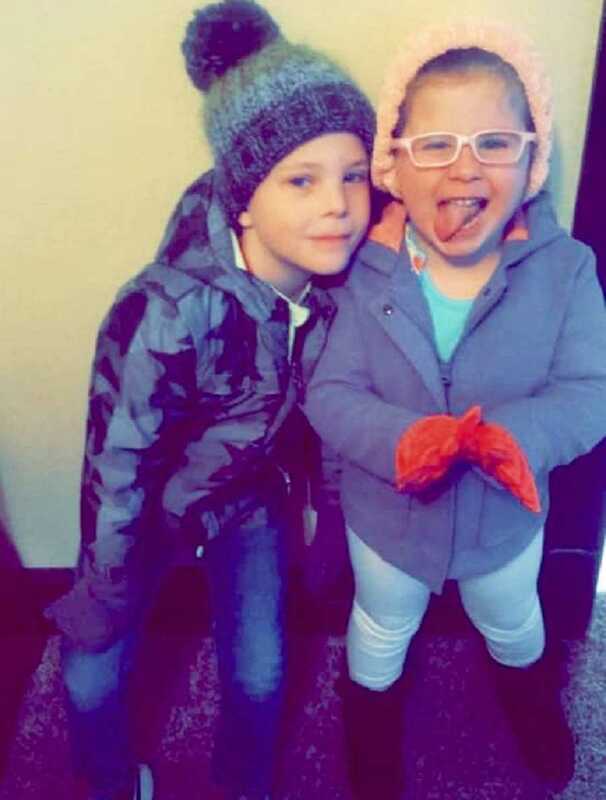 Regan was officially diagnosed with Hemiplegic Cerebral Palsy, caused by stroke in utero. Hemiplegia is defined as weakness of one side of the body. We would not know exactly what her abilities would be as she grows, she will likely have some extent of developmental delays. But, the neurologist assured us that if there was ever an ‘ideal’ time to experience a stroke, in utero would be it. Because her brain is still so young, it will rewire itself much easier than an older brain would. She will start therapy, both physical and occupational, and will likely go on to live a long healthy life. Her condition is not progressive (meaning it will not get worse with time) and will only improve with therapy. We finally had the answers we had been waiting for. Even though I knew this diagnosis was coming, the confirmation was overwhelming. As I processed all of this newfound information I knew I had to become my daughter’s advocate. It was time to stop feeling sorry for her and myself and time to start taking action. Whatever services Regan would need, I had to make sure she received. I had so many things to learn; new terms, health insurance details, therapy lessons, orthotics, so many things I never imagined. 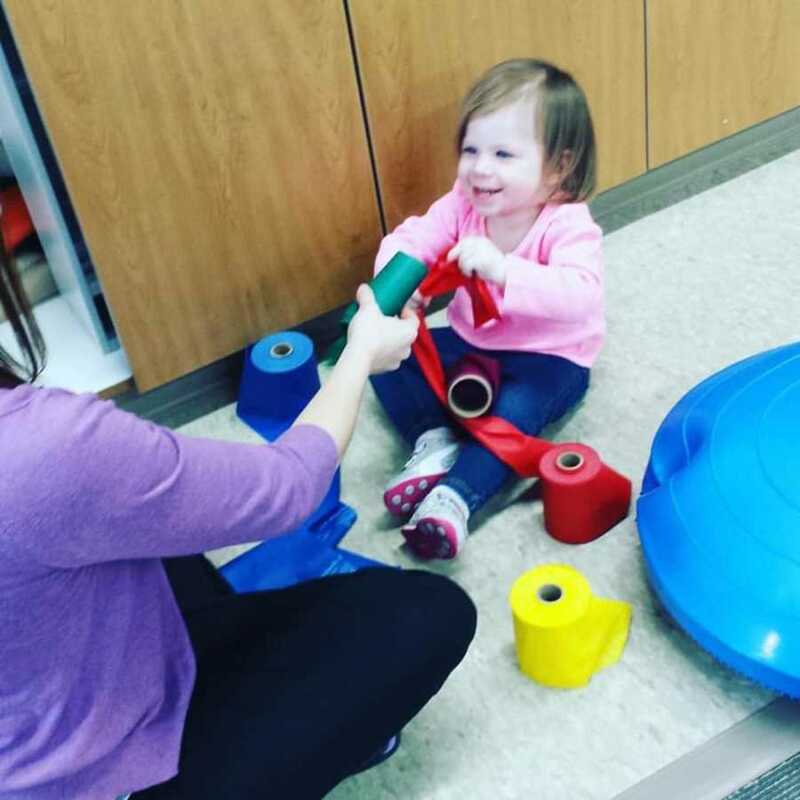 Regan began receiving physical and occupational therapy at our house weekly. From the beginning she showed how determined she was. 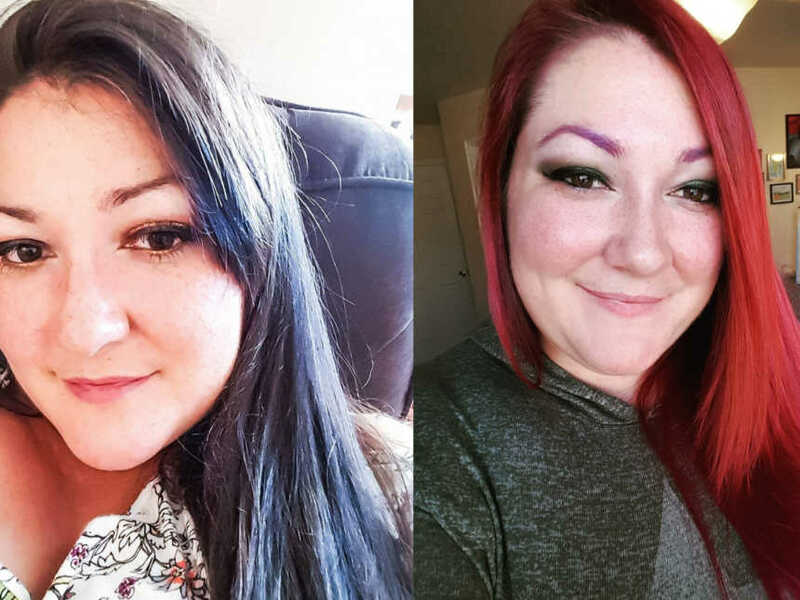 As she grew, she came up with her own unique ways of getting things done one-handedly. She worked so incredibly hard to accomplish things that came so easily for her brother and peers. Every milestone she hit was an absolute celebration of her hard work. I began to learn that she was doing and would continue to do amazing things. The next few years brought with them many, many appointments. Those cheer and dance classes I had planned, were replaced by Tuesday night Physical therapy and Wednesday night Occupational therapy. Often times I find myself in a limbo between feeling like a ‘special needs mom’ and feeling like a ‘typical needs mom.’ Her medical needs are special, but her abilities are great. 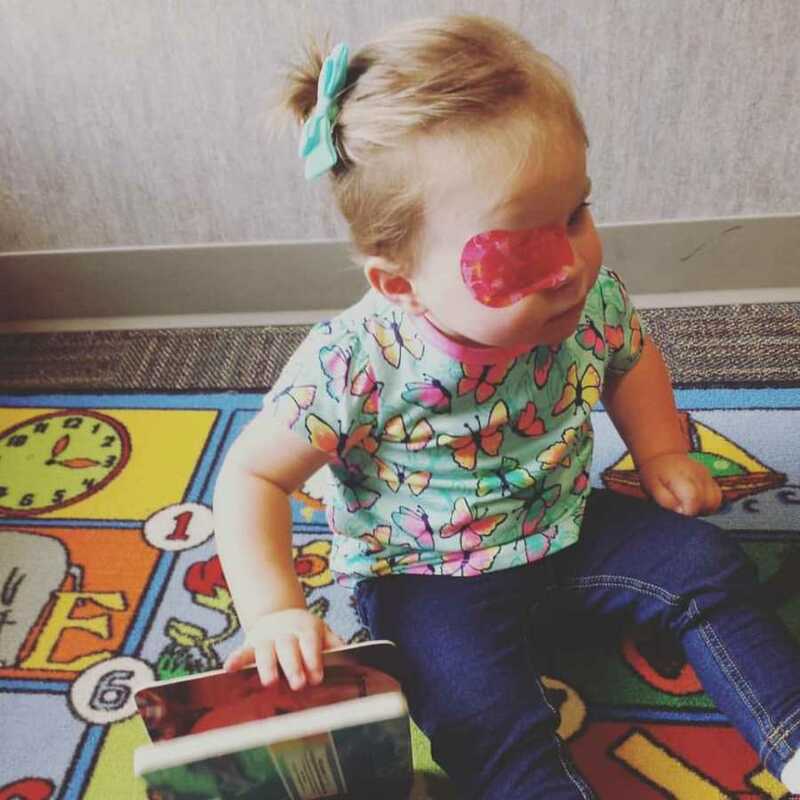 We deal with many denials for medical financial assistance based on her not being ‘disabled enough.’ Even though she wore orthotics for years, has had and continues to have hours upon hours of therapy, and needs special vision care as well. Regan does not appear disabled, but she works incredibly hard to appear that way. I am so thankful she is able to live the life she is. I was so worried about what this diagnosis would mean for her life and although she is only 4 years old, I now know that Regan is a survivor and an overcomer. Every day she pushes through her weaknesses and turns them into her strengths. I am beyond proud to be her mom. She inspires me every day. This story was submitted to Love What Matters by Rachel Camp of Council Bluffs, Iowa. Submit your own story here, and subscribe to our best stories in our free newsletter here. Please SHARE this story on Facebook to help spread awareness to other parents!